I have a tattoo of an ant on my right wrist. People often ask me about it as it seems like an odd choice. There is a long story associated with it which I won't bore you with. The short one is that it is to remind me that, no matter how small you are, or insignificant you feel on your own, if you work with others you can achieve huge things. Ants are a great symbol of this principle, as their tiny size becomes unimportant as they operate as part of cohesive colonies. For example, I have seen areas of forest completely cleared by these tiny, tiny creatures. While those who have had their homes damaged by ants will not be celebrating their ingenuity and teamwork, the fact that these minuscule animals can have such a significant impact on these massive structures is, to me, astounding. I'll come back to ants shortly. As campaigners against the keeping of animals in zoos, my colleagues and I are often in the position whereby we highlight and publicize the way in which the zoo industry fails the animals in its care. Our investigations have revealed neglect, poor welfare provision, inexperienced staff, dodgy deals and clear evidence of animal suffering. The vast majority of people react with horror and concern to these revelations. Petitions spring up to call to get the animals moved to safety and demands are made to shut the zoo down and for the people responsible to be brought to justice. Our supporters get behind our calls to boycott these businesses which are so clearly failing the animals they purport to care for. When a whistleblower came forward with evidence of culling in a major UK safari park - the public called for a boycott. Photo: Penny Boyd 2010 A small handful of people suggest the opposite. These people suggest that supporting those responsible is better than punishing them. Some suggest that our efforts to highlight these issues, to call out those responsible and hold them accountable and to ask people to remove their support for these businesses, are counterproductive. 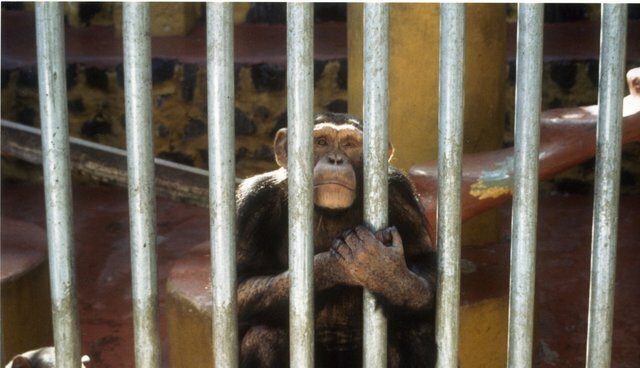 If we really care about animals, they say, we should be raising money for the zoos to help them improve conditions. We should, we are told, be encouraging people to visit the zoos so that they can use the money to better care for the animals. By calling for boycott, it is suggested, we are taking the food from the mouths of the animals that we are campaigning for. Some suggest that, if we are successful, then animals in zoos would starve to death and responsibility would be on our heads. When we raised concerns that Edinburgh Zoo had carried out over 20 surgical operations on its penguins to remove ingested rubbish thrown into their enclosures and called for the zoo to be held responsible, it was suggested we should organize a litter pick for the zoo. During our annual Zoo Awareness Weekend which calls upon people to think twice about visiting the zoo, we are told that we are reducing the zoo's income and therefore risking the welfare of the animals. In the past when zoo inspectors have highlighted dilapidated enclosures being left in disrepair while the zoos invest huge amounts of money in development of new cafés or play areas for visitors, we are told the answer must be to give money to the zoo to help them do better. We firmly believe that zoos are inherently harmful for animals. We believe this is the case in the immediate sense, in that the welfare needs of many of the wild animals kept in zoos simply cannot be met in impoverished man-made environments. The elephant in the video below is a prime example. We also believe that they are damaging in the long term, in that animals being bred in zoos are not released to the wild nor have zoos (despite their centuries-long history and loud proclamations to the contrary) been able to demonstrate meaningful contribution to conservation of biodiversity. Yes, it is possible to cherry-pick a tiny handful of projects which have made an impact on conservation but these are extremely few and far between. Finally, we feel they are harmful from a deeper perspective. Ethically, we believe it is fundamentally wrong to lock up millions of animals so that people can kill a couple of empty hours on a Saturday afternoon looking at them – however enjoyable or educational (a highly disputed claim) the experience may be. And of course, the majority of those imprisoned animals belong to species not threatened in the wild so there can be no pretence that their incarceration is to serve the greater good of conservation. If we believe that this industry is harmful on so many different levels, then encouraging people to pour money into these businesses runs counter to everything we stand for. It is the same reason that we don't encourage people to go to the circus to help them give the lions better lorries to live in or buy brand new bullhooks to use on the elephants. Working to prop up an industry we are opposed to will, in our view, do nothing to help animals in the long term. Incidentally, we have never once heard anyone suggest that people should attend circuses to protect the animals. And circuses are a great example of this problem. When CAPS was founded in the 1950s, circuses were deemed to be in their "heyday." 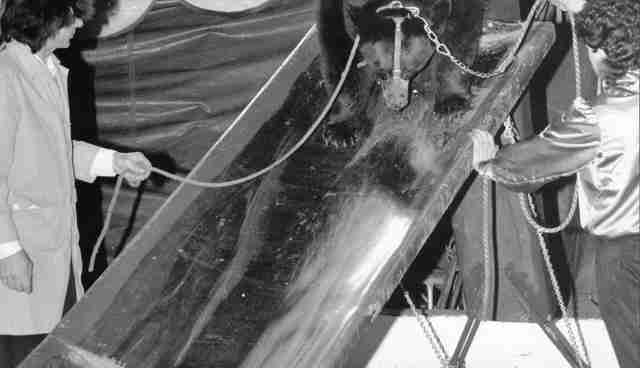 Hundreds of wild animals, from elephants to bears, were traipsed up and down the country by these businesses. It seems hard to believe now as, following a complete change in public opinion, we are left with just two circuses with wild animals and a small handful with domesticated animals in the UK. 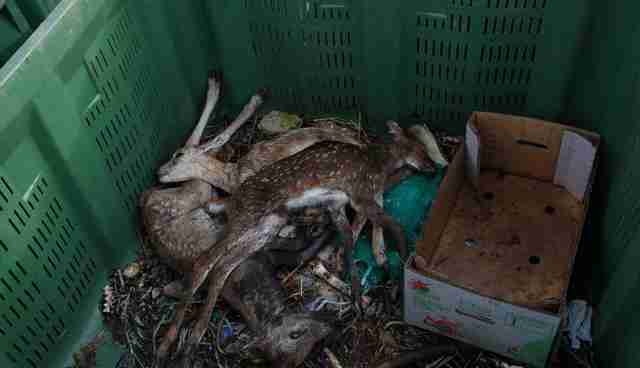 A ban on the exploitation of wild animals in this way is, we are told, on its way and we will continue to campaign for domesticated animals until all circuses are animal-free. Once commonplace, now considered barbaric - the tide has changed on the exploitation of wild animals in circuses. The time will come for zoos, too. It is important to recognize that we are still a long way from reaching the same level of public consensus on zoos that was reached long ago in relation to circuses (consensus in the U.K. at least). We are under no illusions that if we call for a boycott today, the zoos will be forced to shut their doors tomorrow as their car parks remain empty and the visitors stay away. People will continue to visit zoos for years to come while we work hard to win more and more people over to "our side" of the argument. So, while I am not saying that boycotting zoos will have no impact whatsoever when carried out on an individual level, our calls to stay away from zoos are part of our "long game". Like ants, we cannot impact long-standing institutions if we act alone but we need to start somewhere. How about we act as individuals and then encourage our friends to do the same? What if those friends tell their families? The status quo doesn't change overnight and so no animals will starve to death as a direct result of you choosing to boycott zoos. But, by boycotting zoos, you immediately become part of the gradual shift in favour of the animals. We've seen it happen with circuses and we can do the same with zoos. We just need to play the long game. Please, join us and, please, don't visit the zoo.